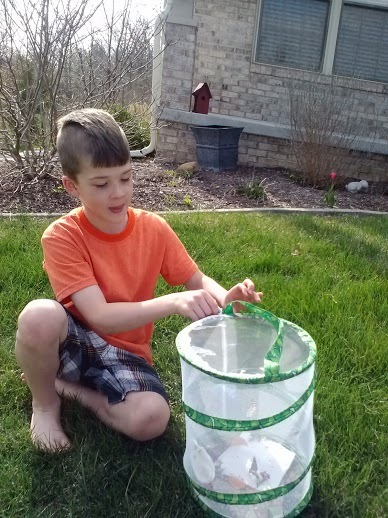 One of the coolest science projects of our school year was raising caterpillars and butterflies. 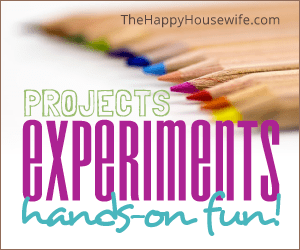 We used Nancy Larson Science this year with my second grader (loved it!) and the butterfly kit was written into the curriculum. Our butterfly kit came from Insect Lore. 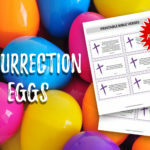 They sent a habitat, instructions, and a card to mail in to order caterpillars at the appropriate time of year for your location. 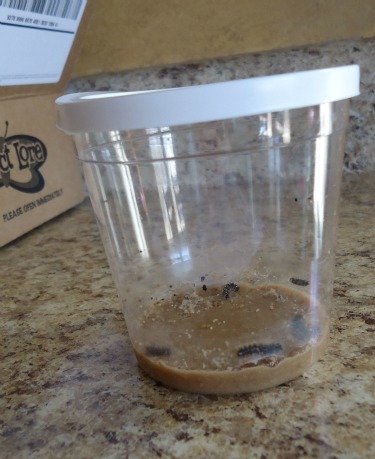 The caterpillars arrive in a plastic cup with a lid and all they need to survive until they form their crysalises (more on this later). When the caterpillars arrive, they are only an inch or so long. Within days, they grow to 2 -2 1/2 inches long. It is quite a change! This is the larva stage of butterflies. Caterpillars have to be the least gross larva of all the insects (just saying!). 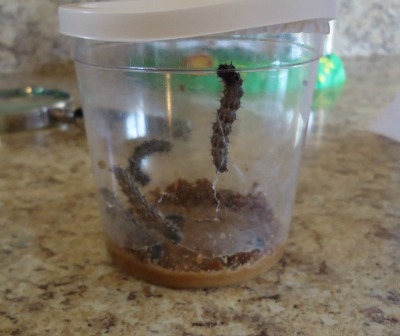 After about 10 days of nothing but eating and growing, the caterpillars find their way to the top of the jar, attach themselves to a paper lining the lid and hang upside down. Within a few hours, the caterpillar is a hardened crysalis. Yes, crysalis, not a cocoon. A cocoon is spun with silk by moths. Butterflies do not spin silk, so they form a crysalis. When the last caterpillar has formed their crysalis, we opened the lid, carefully removed the paper with the crysalises hanging from it and pinned it to the side of the habitat and waited. It takes about 10 days for the butterflies to emerge from their crysalises. We sat the habitat on the kitchen island so we wouldn’t miss a thing. 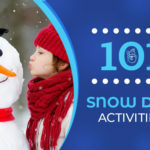 The kids watched each day for any movement at all. 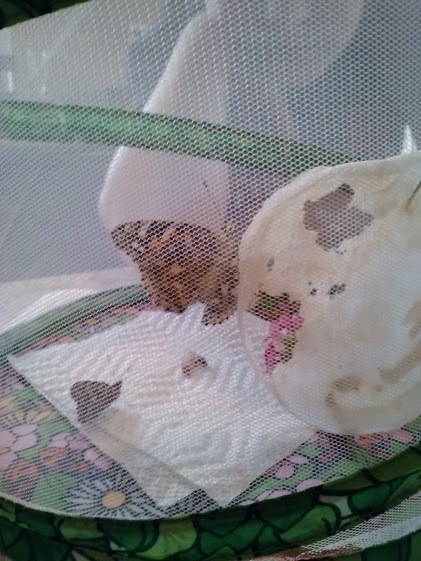 However, each of our 5 butterflies emerged while we were gone or in the other room! Our beautiful butterflies stayed in their habitat for about a week. We fed them flowers laced with a little sugar water and a few pieces of cut orange. 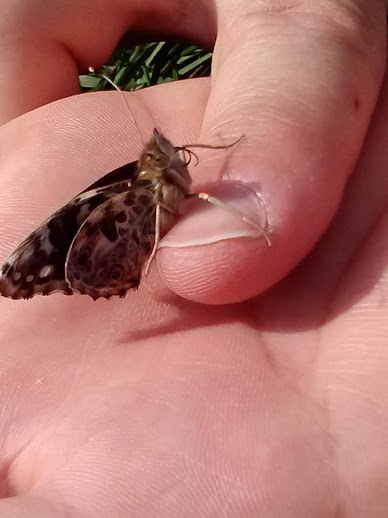 When it was time to release the butterflies, we went out into the yard, my son opened the the top of the habitat and one by one they flew away – except for one. One butterfly had a crumpled wing and couldn’t fly. We used the opportunity to get up close and personal. Have you ever seen a butterfly tongue?! It is so long and curled! The life span of a butterfly is only about 2 weeks. In that time, they fly, drink nectar and lay eggs that will hatch into caterpillars. The entire butterfly life cycle takes only 6 weeks. Watching our caterpillars metamorphosis into butterflies was a great experience that the kids want to repeat next year. It’s a great way to study the life cycle of insects or for young learners to build on a literature study, like The Hungry Caterpillar. Here is a link to a time lapse video on the life cycle of a painted lady butterfly using a kit from insect lore just like we did. 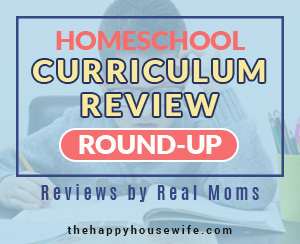 See our Homeschool Curriculum Review for Nancy Larson Science here!